University of Michigan Press, 9780472084128, 360pp. The story of Beowulf and his hard-fought victory over the monster Grendel has captured the imagination of readers and listeners for a millennium. The heroic Anglo-Saxon story survives to the world in one eleventh-century manuscript that was badly burned in 1731, and in two eighteenth-century transcriptions of the manuscripts. Kevin S. Kiernan, one of the world's foremost Beowulf scholars, has studied the manuscript extensively with the most up-to-date methods, including fiber-optic backlighting and computer digitization. 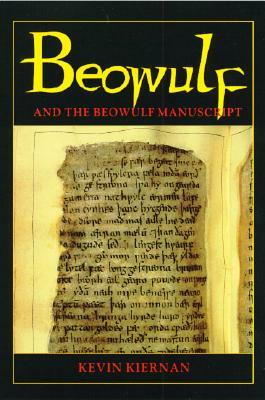 This volume reprints Kiernan's earlier study of the manuscript, in which he presented his novel conclusions about the date of Beowulf. It also offers a new Introduction in which the author describes the value of electronic study of Beowulf, and a new Appendix that lists all the letters and parts of letters revealed by backlighting. This important volume will be a must-read not only for the scholar of early English history and literature, but for all those who are interested in practical applications of the new technologies.